Do you ever wonder if anyone out there really UNDERSTANDS you or what you’re going through? You’re wanting – really wanting – to make some more solid lifestyle changes. You’re not where you want to be, and you know you can get there. Why would this time be any different? Maybe emotional eating has taken it’s toll. Maybe you feel alone, embarrassed, like no one gets you. Maybe you really aren’t sure where to turn. But you so desperately want this. So bad. You just want to get out of this hole and feel better and you’re looking for THE answer. Now is the time to make a change. I know the feeling… it’s been long enough. I’m here to tell you some things that you NEED to hear. Failure doesn’t exist. You either accomplish it and win, or you learn and grow. Both are forms of success. You have everything needed in you to reach your goals. The right tools, guidance, and action steps handed right to you will get you there faster… and will be WAY more fun than figuring things out on your own. I am so confident in inviting you to trust me, allow me to be your coach, and join Nutribabe Nation. If you’re ready to transform, you will not regret it. Not only have I transformed myself [losing over 80 pounds, overcame emotional eating, reaching total body freedom, and so much more…] but I have help HUNDREDS of people do the same thing. Make yourself a priority. Get results. Change your life. OH, one more thing! Our lead recipe developer for Nutribabe Nation, Chloe, has a special coupon code just for you! There are only 7 spots left, so now is time to jump in! Use coupon code: CLEAN44 at checkout for 10% off your monthly membership for LIFE! “I needed more… and this site and membership are more than I had ever hoped for. All of the resources are excellent and it has me grateful each day. 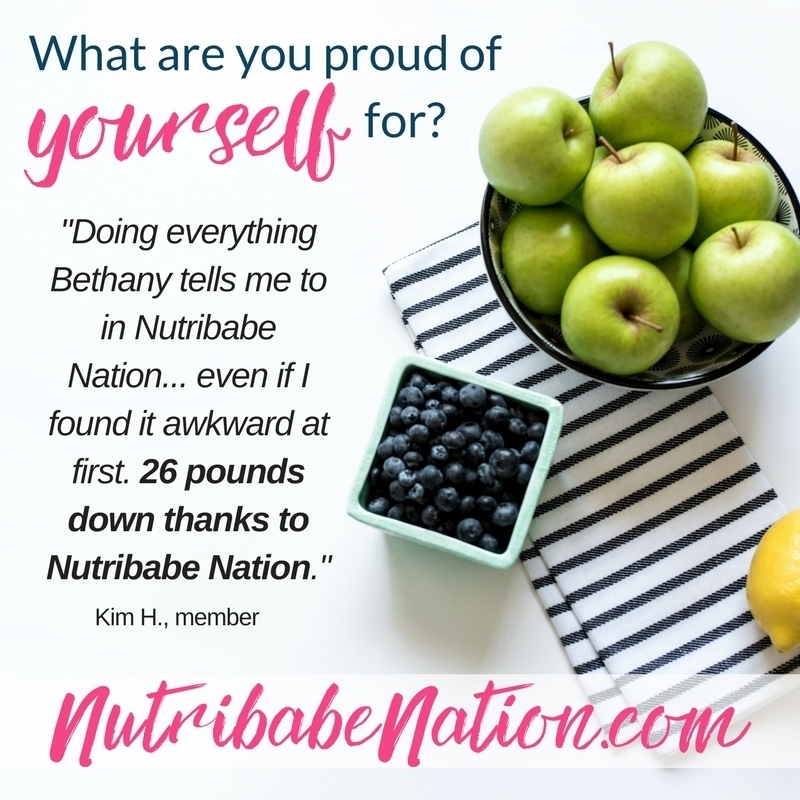 I love you and all of the Nutribabes! Thank you!! !